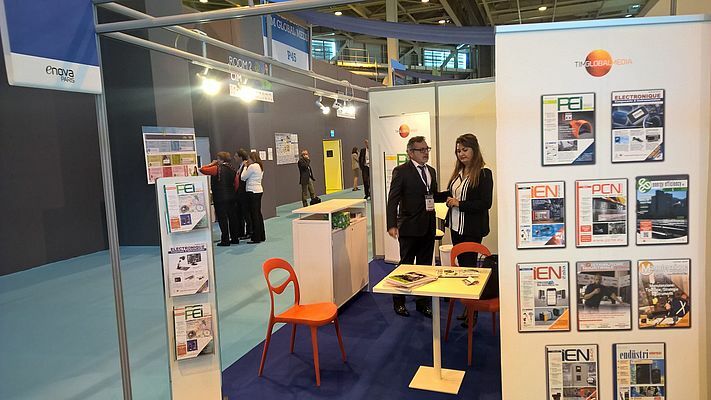 At the Hall 4, Stand P45, TIMGlobal Media, editor of IEN Europe, is partecipating in Enova 2015 to offer visitors the knowledge accumulated in the wide world of industry. This event represents for us an opportunity to meet people and exchange ideas and points of views. As you can see in the picture, Orhan Erenberk, President of TIMGlobal Media, is available to welcome visitors at our Stand. In general, the exhibition wants to help start-ups, businesses, technology developers, digital stakeholders, research laboratories, designers and entrepreneurs come together and explore new usages and services, creating the perfect climate for doing business, co-building an innovative and competitive industrial project and launching cross-disciplinary initiatives.